Operate allows you to export all transactions to Sage Line 50: invoices, credit notes, payments, journals, AR entries. This is done via two export apps which you can find under Settings > Integrations. The 'Sage Export' will export invoices and credit notes, while the 'Sage Payments Export' will export payments, journals and other Accounts Receivable Transactions. Install both applications in order to be able to run the export. To export to Sage Line 50 Desktop, v18-v25, please select Sage Line 50 Desktop. The exports are available as a .csv (Comma Delimited) file. Account IDs/Customer Names - Ensure that the Operate Account ID (found in Member > Accounts) matches the Account ID/customer name in Sage. Payment GL Codes - In Operate, you need to set up GL Codes at the Organization level, under Settings > Organizations > GL Codes. 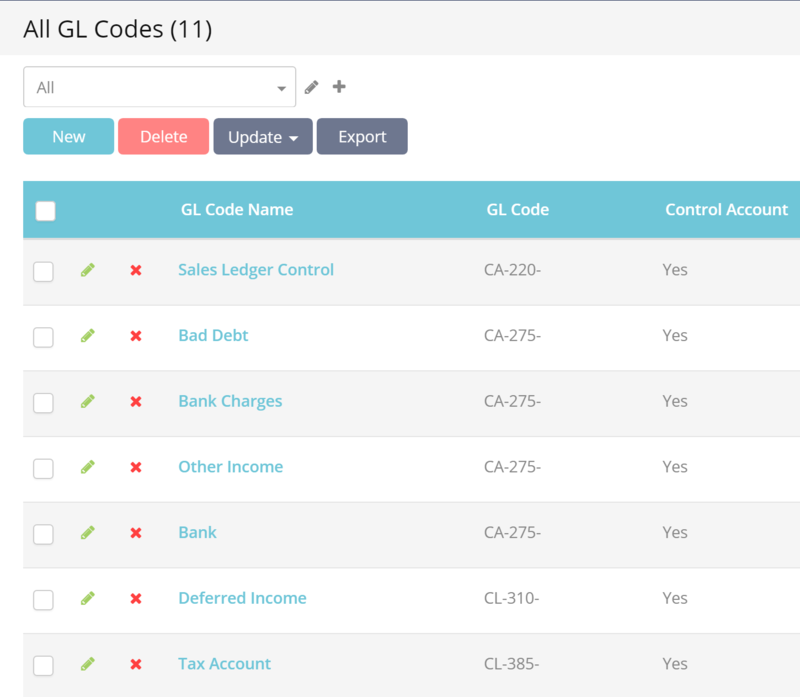 Ensure that these GL codes exist in Sage 50 as well. 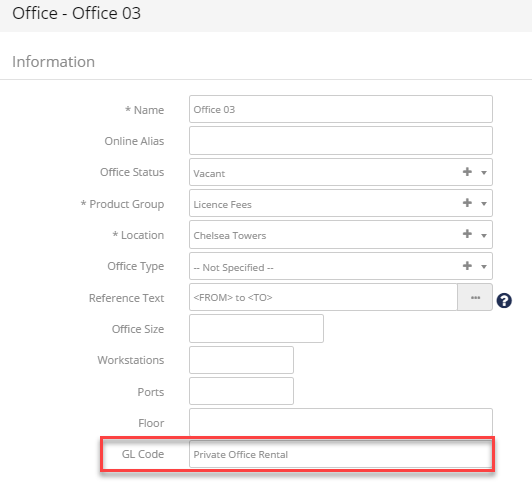 Products GL Codes - Operate also has to have the GL Code field populated on all Products, to match the ones in Sage. When you run the export for the first time or you add new products to either system, please check Space > Products and edit any product that does not have a GL Code. You can use list views here as well to easily see which products don't have a GL code (you can add the GL Code column to the list - Please read the dedicated guide on Using List Views for more details). Taxes - In Operate, go to: Settings > General > Organizations > Taxes and edit the Standard VAT / Tax Rate. Here is where the Tax Code field will need to be set to match the tax codes within Sage. To start running your export, go to Invoicing > Sage Export. Please note: Operate calculates tax on invoice totals, not on invoice lines - you can see this in the above example (the VAT Posting lines). There are instances when discrepancies may occur between the sum of taxes per line and the total tax; which is why it is more accurate to calculate it on the total invoiced amount. Since Operate is only providing the downloadable file containing your data, it is not possible to know whether any of the transactions will fail to import into Sage. Therefore, you will need to know how this system shows import failures.